Ultraviolet light from the sun or from a manmade source like a tanning bed causes these raised, crusty growths. You’ll probably have more than one. Most turn red, but some can be tan or pinkish. See your doctor if you spot them: They can turn into cancer if not treated. The doctor may prescribe a cream, remove them with surgery, or freeze or burn them off. 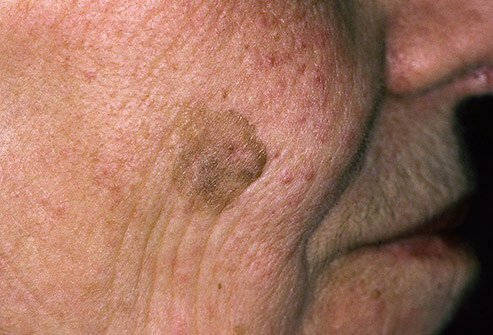 These tan or brown spots can appear almost anywhere on your body, especially after middle age. You’ll probably have more than one. They’re harmless, but they can look like precancer growths or skin cancer, so get your doctor to check them out. Most people don’t need treatment, but the doctor might remove them if they bother you or to test for cancer cells. Also called liver spots, these small dark patches often show up in places that get lots of sun, like your face, hands, shoulders, and arms. They’re more common if you’re over 50, but you can get them if you’re younger and you spend a lot of time outside. They don’t require treatment, but your doctor may take a sample to make sure it isn’t cancer. He can lighten them with bleaching products or remove them if you want. To prevent them, use sunscreen and avoid the sun. 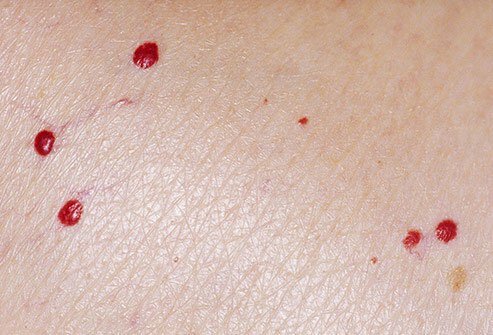 These small, red bumps or growths can show up anywhere on your body, but they’re more common on or near your chest, belly, and back. They don’t hurt, but they might bleed if they get hit or scraped. They’re usually fine left alone, but your doctor can remove them with a laser if you don’t like the way they look. These small flaps of tissue hang from your skin by a kind of stalk. You’ll usually find them on your chest, back, neck, armpits, or around your groin. They aren’t dangerous, but they can get irritated if your clothes or jewelry rub against them. If one bothers you, the doctor might cut it off, freeze it off, or burn it off with an electric current or laser. 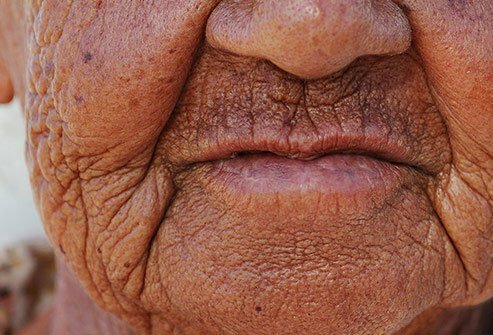 Long-term sun damage can turn your skin yellow and cause bumps and deep ridges. It affects people of all skin tones but it’s more obvious on light skin. It’s worse if you light up: The sun only affects the top layer of your skin, but tobacco smoke causes damage deeper down. If you have this condition, don’t smoke. Stay out of the sun -- or do all you can to protect yourself from it. Weakened blood vessels can start to swell and twist or bulge. They mostly show up on your legs and feet. 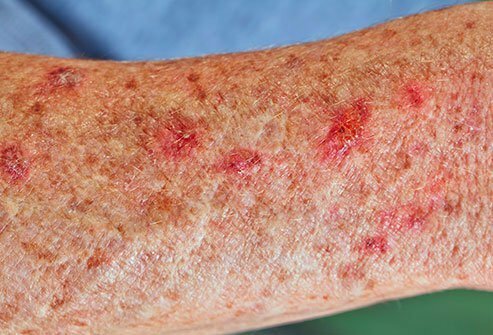 They don’t usually signal a serious problem, but they can be linked to inflamed veins that result in superficial blood clots. And they often ache. Your doctor may give you a pair of compression socks or stockings to add pressure and help get rid of them. If that doesn’t work, he might suggest minor surgery. 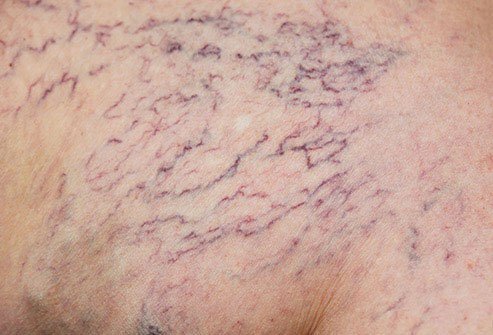 These small bundles of broken blood vessels often pop up on your legs, ankles, feet, and maybe even your face. Causes include a backup of blood, hormone changes, or an injury. They don’t point to a major health problem, but they can itch or burn. Try tight compression stockings to put the squeeze on them. If that doesn’t help, your doctor might suggest a minor surgical procedure. Aging skin gets drier. That can bring on the itch. See your doctor if it lasts more than 2 weeks or covers your body. It could be a sign of more something more serious like kidney disease, lack of iron, thyroid, or liver problems. The doctor will examine you and might take blood to help figure out the cause and what’s best to treat it. Blood flow problems make it easy for the skin on your lower legs and feet to get injured. 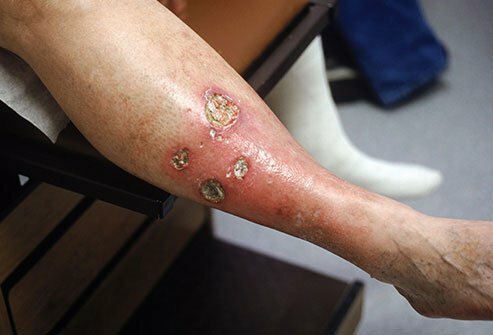 If bacteria get in the broken skin, the whole area can become infected. If you have a health condition like diabetes that makes you heal slower, you might wind up with an open sore, or ulcer. The doctor will keep the wound clean and tell you to keep moving, raise your legs, and, in some cases, put pressure on the area. You may need surgery if they don’t go away. 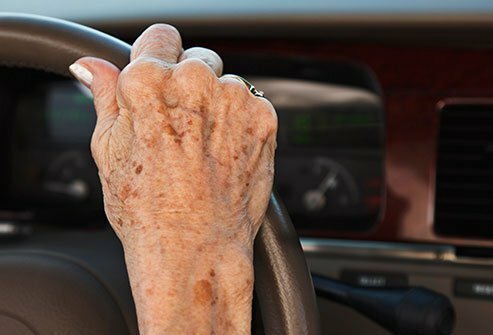 As you get older, the condition may not respond as well to normal treatments. 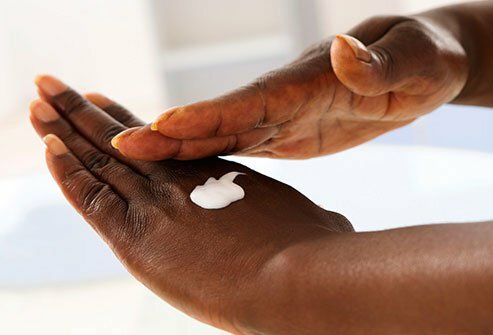 Medicated creams that that you use for age-related skin problems can also cause a reaction. Your doctor will figure out the cause so you can avoid it and will probably prescribe drugs to soothe the itch. When tiny blood vessels near the surface of your skin break, you get a bruise. 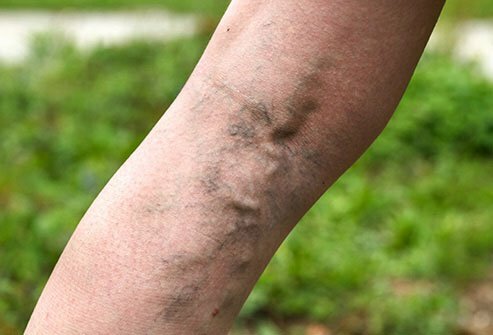 As you get older, your skin gets thinner and loses fat, which can make you bruise more easily. It’s usually nothing to worry about, but it could be a sign of something more serious. 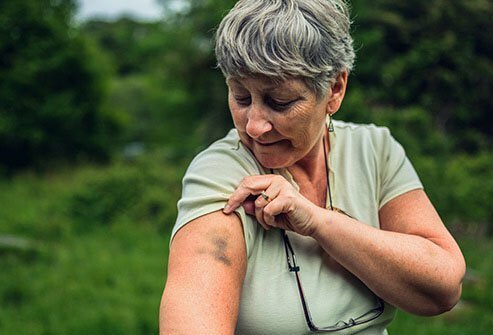 Some blood-thinning meds can also cause more or bigger bruises, so tell your doctor about any drugs you take. They’re gonna show up as you age, but you might be able to slow the process with healthy food, plenty of sleep, and regular exercise. Protect yourself from the sun and watch out for strong soaps that strip natural oils from your skin. Don’t smoke -- it makes them worse. 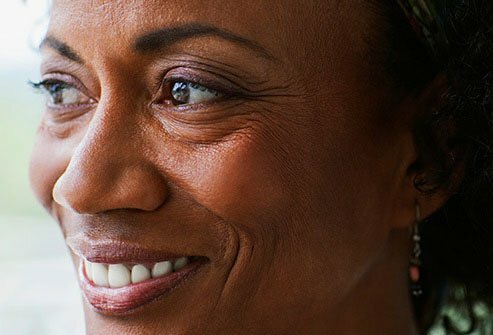 Wrinkles aren’t bad for you, but most people aren’t wild about the way they look. Chemical peels, injections, laser treatments, and surgery can get rid of some. 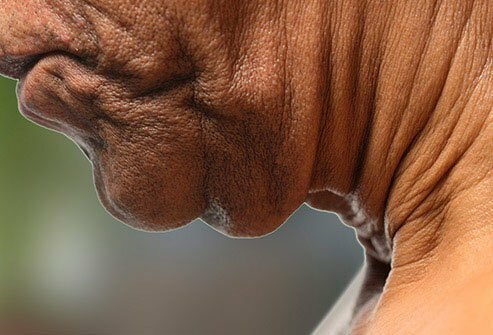 The first places you notice droopy skin are often your jawline and neck. You might hear it called turkey neck. Sunscreen and moisturizer can help hold it off. So can exercises for your neck, jaw, and throat muscles. Surgery and other treatments can help get rid of it. 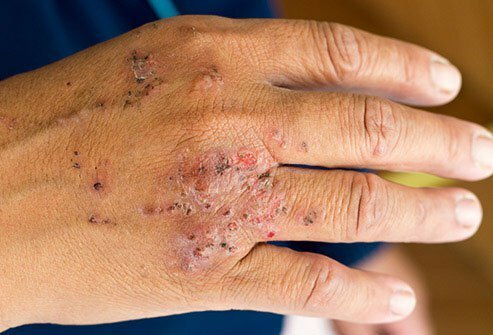 Damaged skin cells can grow out of control and become cancerous. One main cause is ultraviolet (UV) light from years of exposure to the sun or tanning beds. But you can get cancer in places where the sun doesn’t shine. That means your genes and toxins in the world around you also play a role. 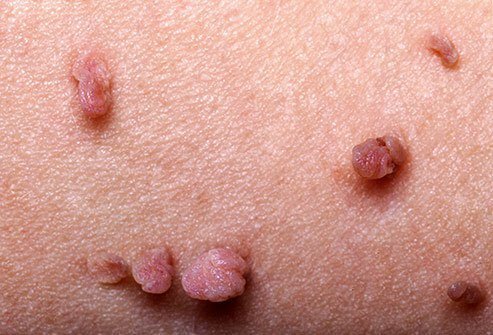 Your doctor may treat cancerous lesions with creams, injections, pills, surgeries, laser treatments, or radiation therapy. 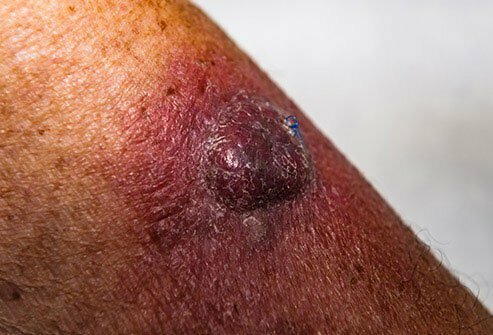 Depending on the type of skin cancer, you may need chemotherapy or other kinds of treatment, as well.